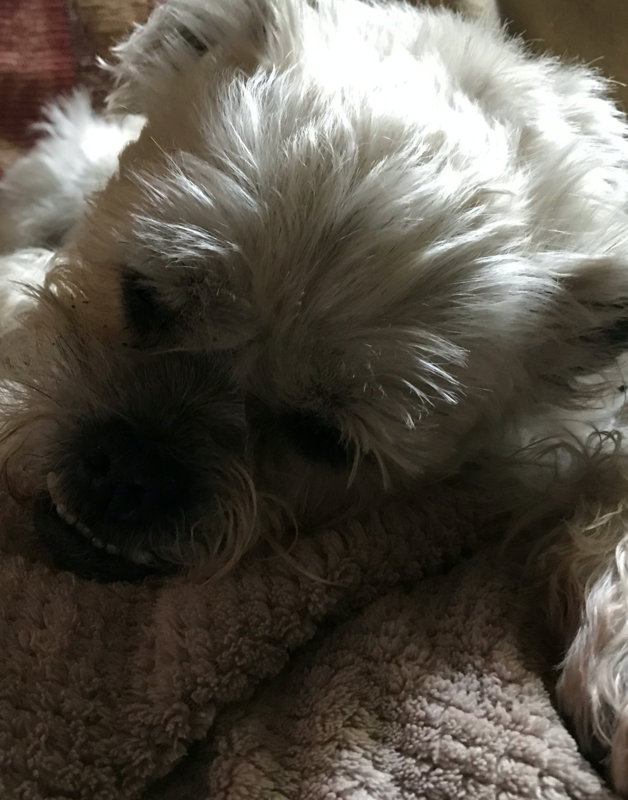 Bella is a Pug/Schnauzer mix (a Schnuggie) who is 13 y.o. and she is a full sister to Mia. Bella has her own health issues. She is diabetic but unlike our Cleo, the diabetes is well controlled with her insulin. She has also lost most of her vision due to cataracts which are quite possibly secondary to the diabetes. Unlike her sister, Bella loves to get belly rubs but just like Mia she prefers to curl up and sleep most of the time. She is not a fan of being cuddled. Bella loves to go for walks too. She trots with her sister by her side and it’s wonderful to see how much she enjoys being out of doors. It is just a matter of taking care not to take her into areas where she can bump into things or fall over things. Bella has come to us with her full sister and littermate Mia. We welcome them both. 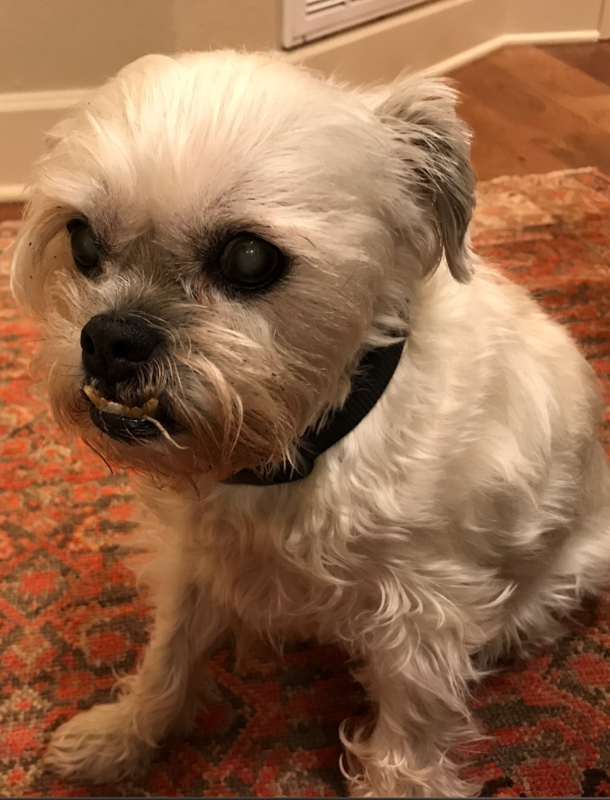 Mia is a Pug/Schnauzer mix (a Schnuggie) who is 13 y.o. and has all kinds of personality. Sadly, she has a neurological condition which causes her to have seizures. Luckily, the medications that have been prescribed for her keep her relatively seizure free for now. Mia seeks out rubs and pats every once in a while but most of the time she prefers to sleep. She is not like some of the others who would rather be in a lap than anywhere else. Mia loves to go for walks. She seems to perk up tremendously when she sees that the leash is for her. She trots along with her nose on the ground picking up the scents obviously getting great joy from the outdoors. Mia has come to us with her full sister and littermate Bella. They are a welcome pair. 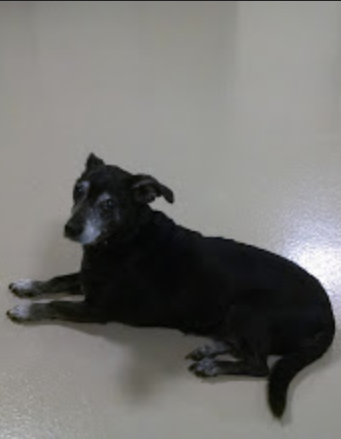 Sugar is a Chihuahua who is approximately 10 y.o. She can be a little nervous when she is new to a situation but, given a little time, she settles in nicely. Sugar loves to sleep in a lap but, more than that, she loves massaging rubs especially on the back of her neck and on her tummy. Just like Wolfie, Sugar loves to explore outside – but she does it very slowly and deliberately. We make sure that we have lots of time when we walk her because it’s walk for 30 seconds and sniff for 2 minutes, walk for 30 seconds and sniff for 2 minutes. Oh well, does it really matter if she’s enjoying herself? Sugar is good friends with Mia and Bella but unlike the sisters, Sugar wants to be held and loved on. This absolutely sweet little girl will put a smile on you face. When you look at Remy your heart will melt. He is very tall and lean. He is long-coated. He is 15 years old. Knowing that he is 15 puts a lot of things into perspective. Remy just kind of does his own thing. 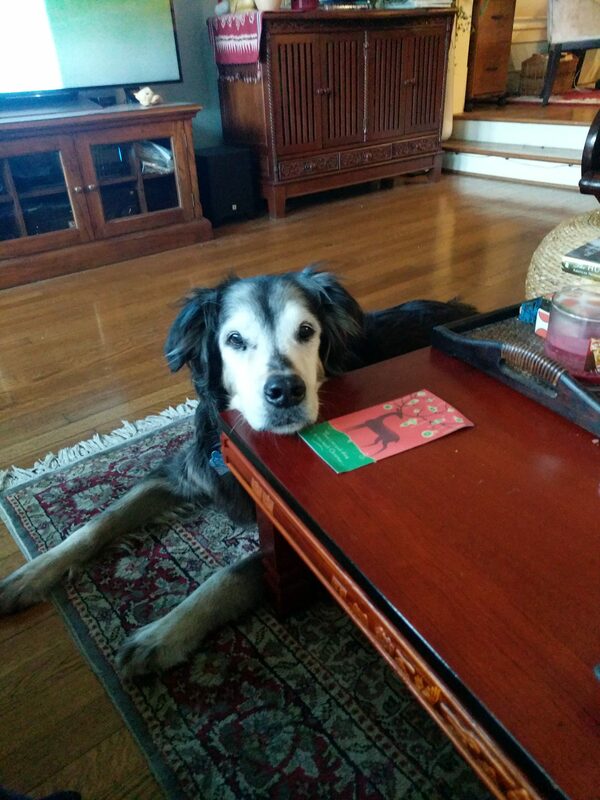 Remy is a happy boy despite his “old man” health issues. Amongst some other things, his hips have weakened significantly but his meds keep him moving comfortably. He gets along with all of his fellow residents, large and small. He does have a tendency to be a follower and those that he chooses to follow are typically the small dogs. He just gets in behind and goes where they go and then when they stop inevitably Remy will let out a single fog horn bark. Seeking affection and attention is not a priority for Remy. He will greet you and then wander off or find a place to go lie down and sleep. That’s ok… He’s living life on his terms. A loving foster by the name of Molly, was taking care of Keats while looking for a permanent home for her. Keats had been picked up by Montgomery County Animal Control. Keats is a German Shepherd. Upon admission to our Sugar Land clinic, it was determined that she is severely disabled by spinal stenosis. She has great difficulty walking and is bowel incontinent. But…. it would be hard to find a more loving dog. Keats has fit in well with the rest of our dogs and gets lots and lots of loving from our staff and volunteers. However, even though she is living at Dog Lodge, her medical evaluation continues. 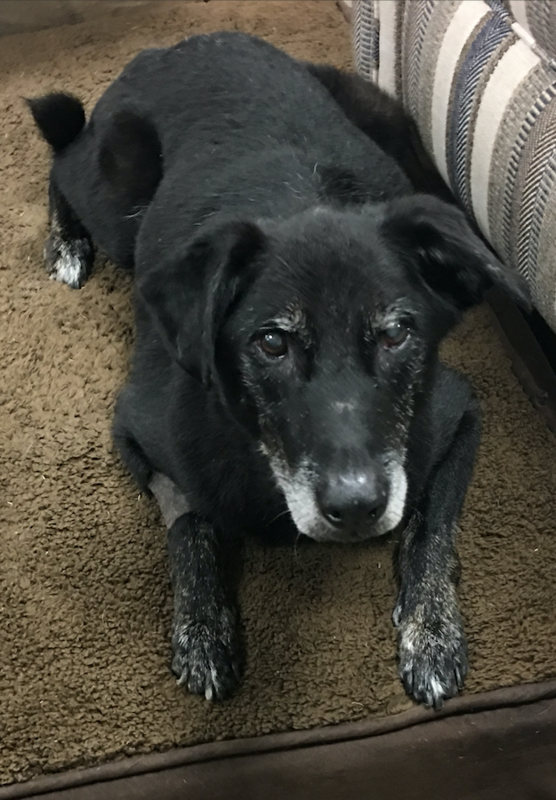 It is going to take a while to get her pain permanently under control in order for her to enjoy the quality of life that we strive to achieve for each and every one of our dogs. Thank you to Molly for reaching out to us and giving us the opportunity to bring Keats into our program. Martin and Maxtoo lived together in less than favorable conditions until their owner could no longer care for them. Of the two, Martin was in somewhat better physical condition when he joined us. He had several oral issues that needed to be attended to but has made the adjustment to his new home very well. Martin loves exploring when he is out on his walks. He is a bundle of joy who cannot get enough rubs, scratches and hugs from our volunteers. He certainly has a knack for putting a smile on your face…. Florence came out of the Houston Humane Society at the same time as Wolfie. She had been an owner surrender. 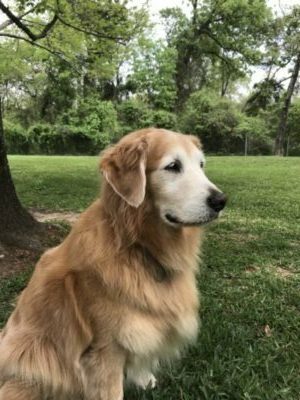 Florence is advanced in age and had difficulty walking due to serious arthritic issues in her shoulders. Most of the time she was extremely uncomfortable. As a result, Florence made it clear that she did not want to be cuddled or, for that matter, even picked up. Florence has had no problem getting along with all the other dogs but they have learned to give her room so that they don’t accidently bump her. Our vets have worked out a combination of medications that have successfully given Florence significant relief. As one would expect, not being in constant pain has allowed her to be far more sociable and now she is one of the first to greet newcomers at the door…..
Cleo comes to us from Irving Animal Services in Irving, TX where she was surrendered by her owner, and then via Camo Rescue in Houston. 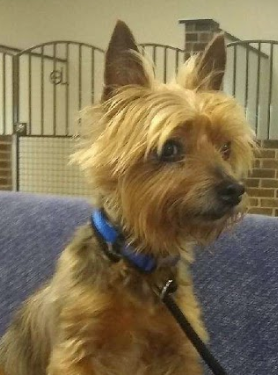 She is a tri-color Yorkshire terrier mix, approximately 7 years old. She weighs right around 11 pounds. Cleo is diabetic and has very opaque bilateral cataracts which significantly impair her vision. What a sweetheart this little girl is!! She is so quiet and calm. She gets along with all of her Sanctuary mates and loves the attention of all of the volunteers. Cleo loves her time outside in the big yard. It is almost an acre and she loves to sniff her way around exploring everything that she can. She also likes to follow closely on the heels of the volunteers. She may be vision impaired but she doesn’t want to miss out on any of the action. Do you see that look in his eye? A clear indication of Hedwig’s personality. He is a 14 year old Yorkie who is a trip and a half. Hedwig lived with a variety of different fosters over a period of time but was never able to find the one forever family. He has one now. Hedwig may be the smallest of all of our residents but he certainly has no problem making his presence known. He gets along really well with his sanctuary mates. He loves being outside in the paddock, lying on the grass in the sun. Hedwig is very clever and right now he is working with one of our trainers to learn some basic obedience. Even though he can be a little stubborn, he is learning his lessons well. 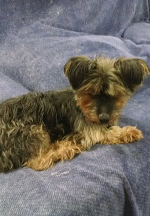 This little boy is too cute by half and we love having him with us…..
Houston Humane Society contacted us about Maxx who was an owner surrender. 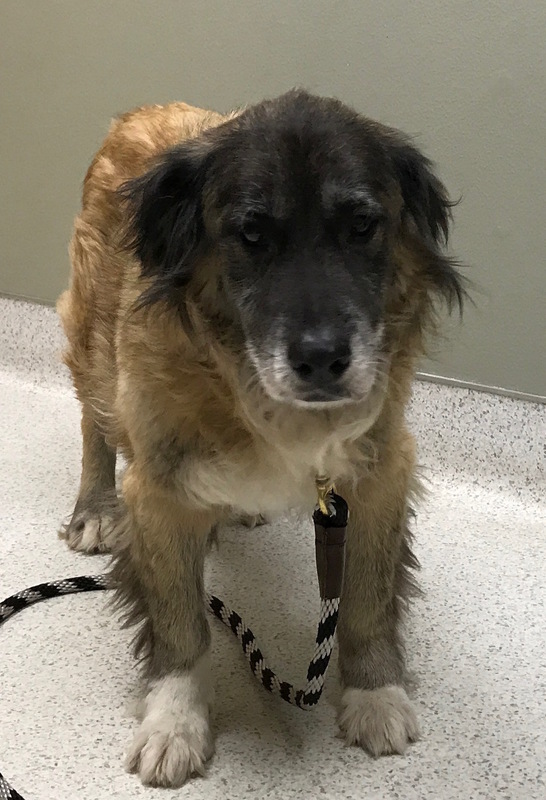 He was continually passed over by adopters, possibly because of his advanced age of 9-10 years, his really bad hips and his heartworm positive status. We call Maxx a wooly mammoth because of all his hair and, though he is not a giant breed, he is certainly not small. Picture a leonberger with shorter legs and that is kind of what Maxx looks like. Maxx has just had his first heartworm treatment and so we are keeping him very quiet right now. Once we get past that, we can start working on an in-depth evaluation of his hind end. He has great difficulty walking, very little strength and intermittent pain. 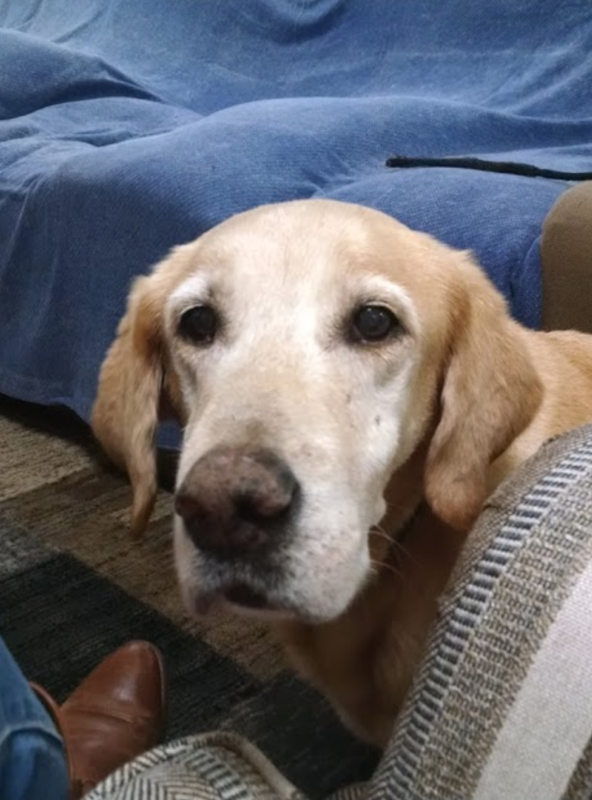 Maxx, like our other residents, loves the attention he gets from the volunteers. He likes to sniff around outside in the dog paddocks, enjoys his leashed walks and has no problem with taking regular naps. This darling boy has won our hearts and we love having him as part of our group. Thank you to HHS for contacting us. 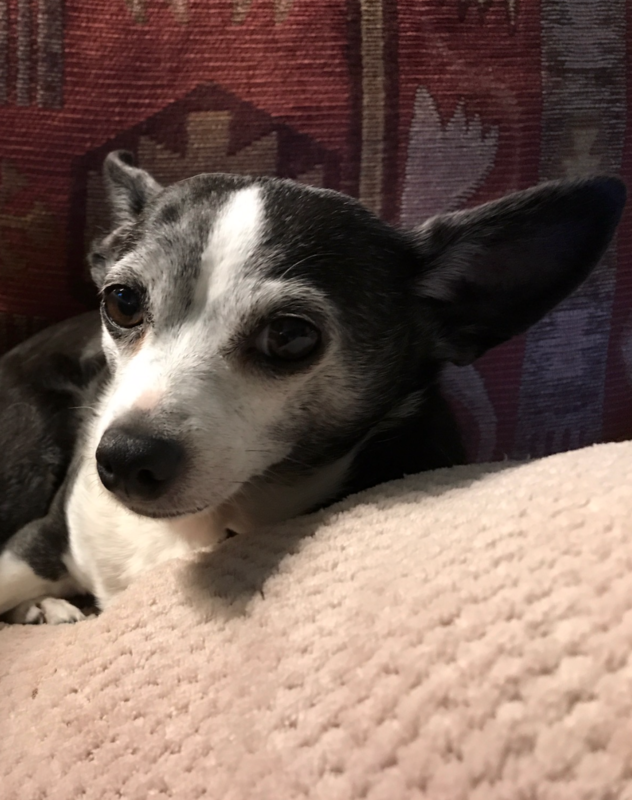 Wolfie is a Chihuahua who is approximately 11 y.o. and has all kinds of personality. He came to us from the Houston Humane Society and has been a wonderful addition to our group. After a very nervous beginning, Wolfie has settled in and there is rarely a time when his tail is not wagging. He loves to be in a lap and scratching his neck gently will put him to sleep. Wolfie loves to explore in the yards – he trots around with his nose in the air catching all the scents in the air keeping watch for the deer who graze at the edge of the woods. If he sees one, then he suddenly changes to his “Great Dane” persona, barking his warning that the deer had better not approach. Visitors need to let Wolfie approach them. He feels more comfortable if he initiates the contact. But once he knows someone, they too get the loving greeting and snuggles that the little fellow bestows on his people. 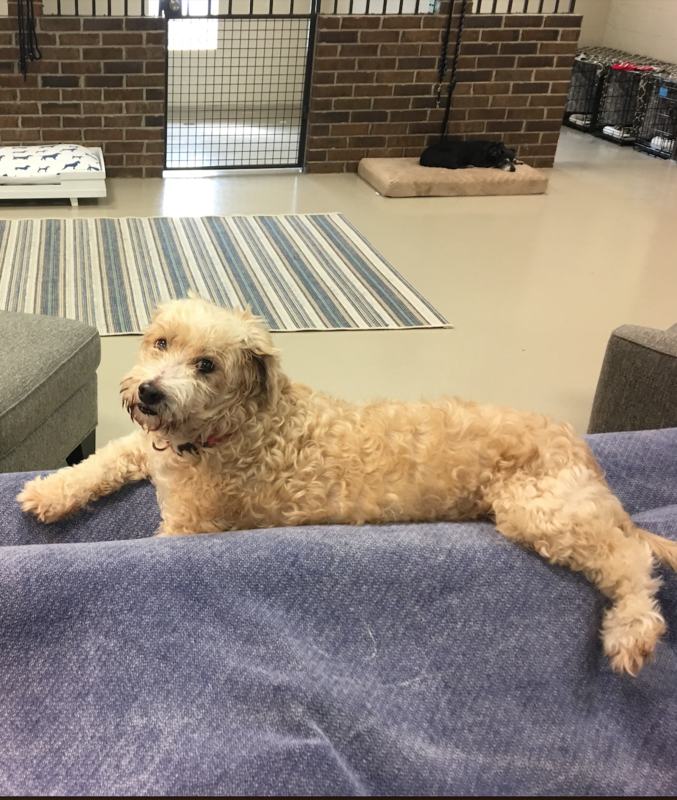 Delilah was the first dog to enter the Dog Lodge Sanctuary program. 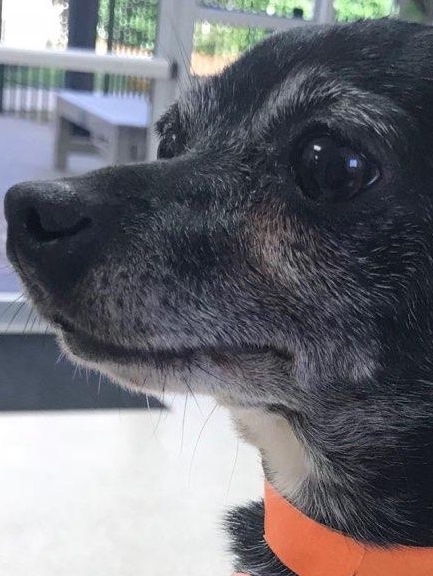 She was originally found wandering the streets in Brazoria County in late March of 2018, picked up by Animal Control and taken to the Brazoria County Shelter. We found out about her from a good friend. 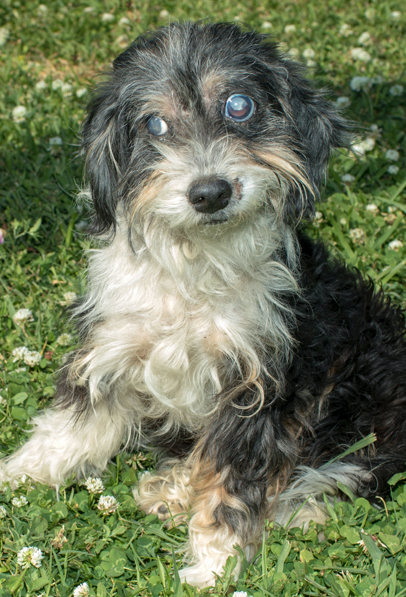 Delilah is a sweet terrier mix, approximately 15 lbs., about 8-9 years old and totally blind. Her sight impairment is secondary to advanced glaucoma. She is also heartworm positive. She will be starting heartworm treatment soon. 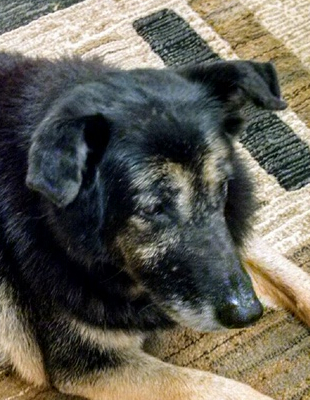 Being blind does not seem to slow this cutie down. It is not unusual to see her trotting, nose to the ground, looking for her “baby” so that she can shake it mercilessly, or her nylon bone that she enjoys gnawing on. However, as you can imagine, not being able to see has caused Delilah to be very cautious when another dog is close by. She needs to be the one who approaches which actually works well at the Sanctuary because the other dogs are pretty laid back and unreactive. Loving this little girl is so easy and we are thrilled to have her with us.